Santa Catalina is a town located west of Dumaguete. You can get there by a little touristy and very wild road 88 kilometers long. From Dumaguete you can take a Ceres bus. The journey will take about 2 hours and will cost about 130 PHP. Santa Catalina is a small town with some resorts outside of the center, where you can rent a room or a small cottage and use the swimming pool and all the comforts that a modern structure offers: air conditioned, wifi and TV. One of the most interesting things to know about Santa Catalina is that this town is the first exporter of bananas from Negros Oriental. These bananas are called Pakol, and there is even a festival dedicated to these bananas. The Pakol festival aims to preserve both the economy of the small town and the survival of its monkeys. Besides being a fruit full of seeds, the Pakol is also the main food of a species of pygmy apes endangered that here on the island finds the only remaining natural habitat. So among the pleasant things you can do visiting Santa Catalina and its surroundings, you can visit the Wildlife and Monkey Sanctuary, protected by the "Bantay Lasang" to preserve the flora and fauna of these two hectares of unspoiled nature, where they find home rare species and endangered animals including a hundred monkeys. But the first thing to do in Santa Catalina is to visit its small center and in particular the splendid church of Santa Caterina d'Alessandria built in 1958 and then restored in 1962 by Rev. Fr. Geminiano Semprun. A beacon of the Catholic faith on the island that attracts devotees on pilgrimages. It is still expanding to accommodate an ever-increasing number of worshipers who want to participate in its functions. The church is above all famous for its via crucis, a real work of art composed of 14 life-size stations of the via crucis, made life-size that depict the highlights of the last hours of the life of Jesus and leading up to his crucifixion. The path inside the magnificent Heaven Garden, takes place during Lent and lasts two hours between walking and prayer. Santa Catalina is known also for its waterfalls. They are a lot. The highest with a distance of 50 feet from the ground is the Talostos Fall, which is less than half an hour's drive from Poblacion Amio. Then there are the Mantangla Falls: to get there it takes an half hour’s drive and then about an hour's walk to the falls. But the show they offer is enchanting, that's why they are called "MANTANGLA”, that means “looking up”. 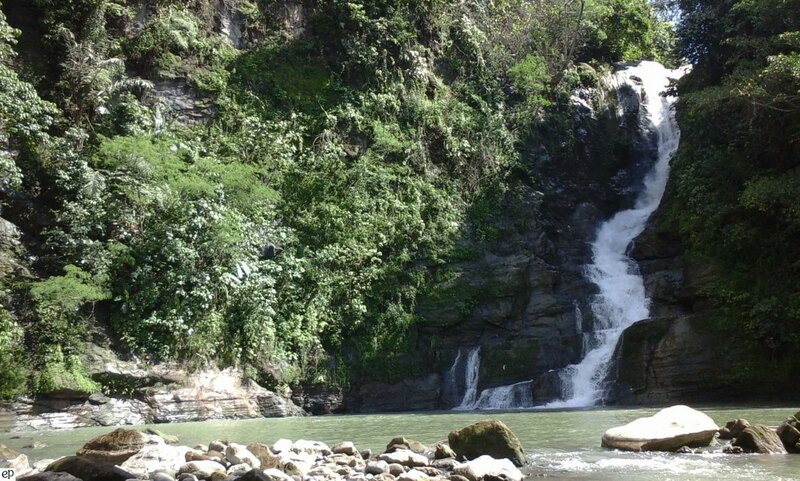 There are also the Mantabios Waterfalls, the easiest to reach, just 500 meters away from the Barangay Kabulacan provincial road and the “Bug as Falls” which can only be visited during the months of April and May because in the rainy months the road is not accessible. The Baknit Falls instead are recommended for those who want a real adventure! It takes hours to get there, by walking and horse riding in the middle of the jungle. And do not miss the Mantangla Spring with its cascade of fresh and pure water but especially the Spring Carnabalan, a cave carved into the rock by the water. And if you like the caves, treat yourself to a visit to those of Pamu, immersed in the heart of Barangay Obat and to those of Maglangit, definitely the best but also the most distant. After hours of travel, you’ll be excited by what you’ll see: huge stalactites and natural stalagmites, thrilling! And if you like beaches, you can enjoy those of Caranoche Beach, blue sea and crystal clear and warm water that makes you want to dive and relax while sunbathing. 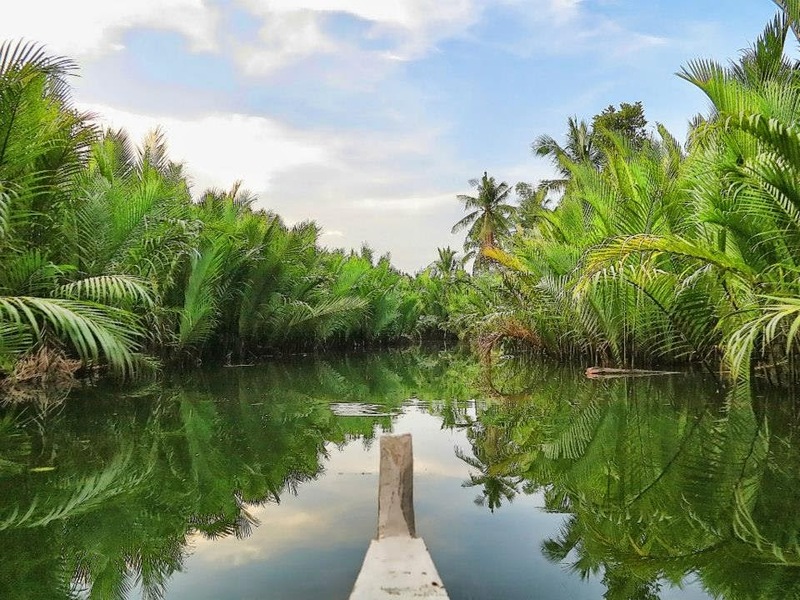 And the last gem…After being in Caranoche beach go and see a real mangrove forest: Caranoche Mangrove, where the wonderful plants plunge into the Sicopong river intertwining their branches. Just a twenty minute drive from Santa Catalina.